WAYNE "PeeWee" SHELL, age 83 of Athens, Tenn. passed away Saturday, August 11, 2018, in Parkwest Medical Center in Knoxville, Tenn. 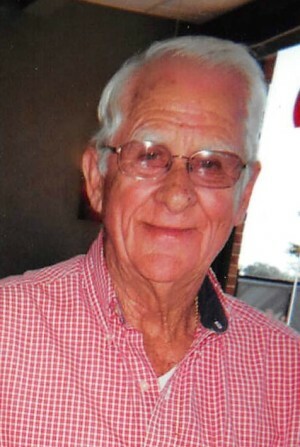 He was a native and lifelong resident of McMinn County, Tenn., a son of the late N. C. and Meda Rogers Shell, and preceded in death by Son: David Lynn Shell and Brother: Harold R. Shell. He was President and owner of S&K Auto Parts (NAPA) from 1962-1993, He was a member of First Baptist Church of Athens, Tenn. where he served as Usher for many years. For 25 years he was Chairman Advisory Board of McMinn County Vocational School, and served on C & C Bank Board of Directors, He was a member of RAM Athens Council No. 118, Grand Encampment of Knights Templar Athens Commandery No. 34, He was a member of Royal Arch Masons Chapter for over 50 years, 32nd Degree Scottish Rite, Meridian Sun Lodge #50, and a Shriner serving as Chariman for Crippled Children of McMinn County. He also was a McMinn County Commissioner. Survivors: Wife of 65 years: Juanita Shell of Athens, Tenn., Son and Daughters-in-law: Mike and Caren Shell of Athens, Tenn., Marlene Rue of Athens, Tenn., Sister and Brother-in-law: Joyce and Bruce Rutherford of Seiverville, Tenn., Two Grandchildren: Waylon Shell, Tara Shell Brown married to Keith Brown, Three Great Grandchildren: Camden Brown, Griffen Brown, and Colby Brown, several nieces and nephews. Funeral 11:00 A.M. Tuesday in the Chapel of Laycock-Hobbs Funeral Home with Ron Lyons officiating. Interment will follow in McMinn Memory Gardens. Active pallbearers will be Keith Brown, Camden Brown, Griffen Brown, Colby Brown, Allen Powers, and Michael Gates. Honorary pallbearers will be members of his Sunday School Class. The family will recieve friends from 4-8 Monday in the funeral home. Those wishing to send codolences may do so at www.laycock-hobbs.com/notices/Wayne-Shell Laycock-Hobbs Funeral Home, Athens, Tenn. in charge of arrangements.